Colin Elliott, my boyfriend’s dad, worked as a mechanical engineer his whole working life, starting in England and then coming over to Canada, and then working as a salesperson in machinery. He’s also a talented carpenter, and in his retirement years he’s gotten really into woodworking and tole painting, and makes neat wooden whirligigs and toys. When I saw Colin at Easter dinner, last month, he started telling me about how this past winter he had made a painting, stepping out of his comfort zone a bit! He had painted plenty of whirligigs, but never done a painting on canvas before. What got him inspired to paint was that it was winter, and he was spending time in his woodworking shop as usual, but he found himself getting frustrated with the news about the Veterans’ Office in Sydney closing, as well as the news about the Mother Canada Memorial for the Park (which he supports and sees as a gift to the community) meeting a mixed reception, with some people not wanting it, or wanting it in a different location. Colin told me about how he made up a frame from 2X4 wood and a canvas that had been used for covering floors when painting the whirligigs and toys. He began to experiment with the tole paints he uses for his wood crafts, and he began to sketch out his memories and emotions around the issues of the Veterans’ Office and the Mother Canada Memorial. 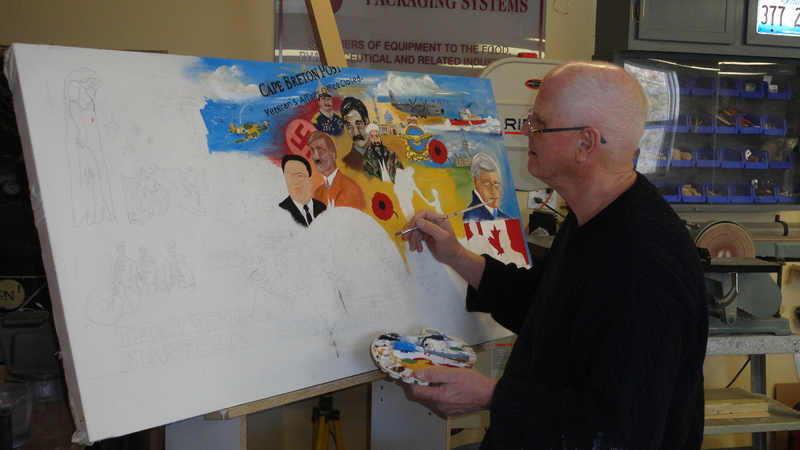 What resulted was a 6′ by 3′ painting which he has since donated to the Sydney Mines Legion. 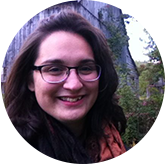 I thought it was really well done and said I’d like to share it here on the blog. While I may not agree with Colin on every point to do with the Mother Canada memorial, I love that he used creativity and painting to work through his frustration, and that he tried something new and pushed himself out of his comfort zone. I also loved that he’s voicing his opinion on a community matter in a new and creative way. I love and respect Colin very much, and I’m willing to listen to his point of view, even if at first I may not agree. When I asked him where the words came from, (“That young man is long gone and I’m too tired to fight again”) he said, “Oh, I just made that up!” Something else I love about this painting: that you just never know how your loved ones will surprise you with their creativity! 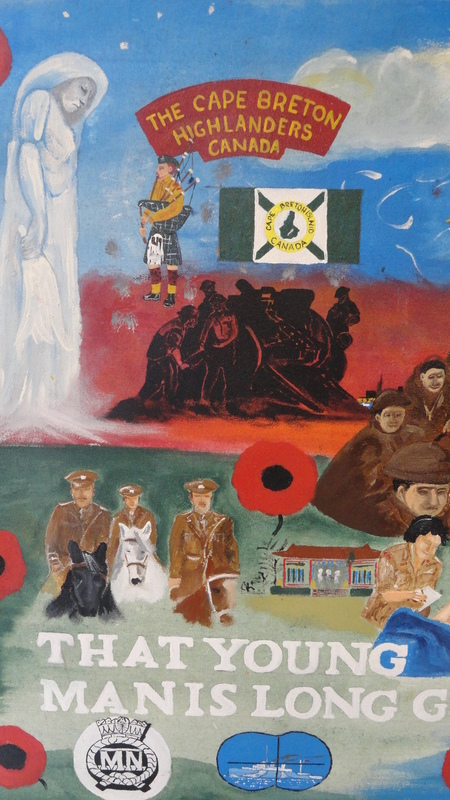 This entry was posted in Art, Community, History, Love and tagged art, Cape Breton, family, Veterans. Bookmark the permalink. Beautiful and touching work Colin, you should be proud. Leah, thank you for sharing.